Generally the summer is a time when the swimbait bite tapers off. For those who still want to target giant bass, there are a few big baits that will appeal to the better than average fish in the lake. It is true big baits catch big fish. The reason the swimbait bite dies off, is because traditional swimbaits are visual baits. They work because they are often mistaken for a real trout. The water is stained and there is very little visibility making these baits difficult for the bass to locate. Plus, the bass and trout are not crossing paths on a regular basis. The trout are deep and offshore and the bass may be deep but usually will hang around structure. When fishing in stained water, the most important thing is drawing attention to your bait. 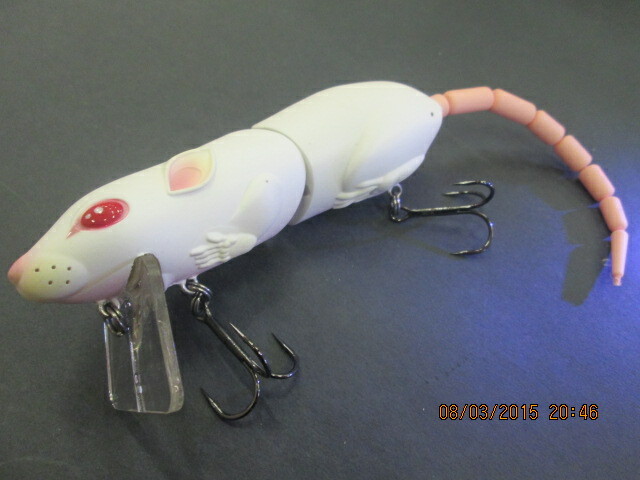 You will need a lure that creates commotion and moves water. The S-Waver by River2Sea has a great side-to-side sweeping action. It is large jointed bait and will push water. Using their lateral line, the bass will be able identify it as a large meal and will travel a distance to track it down. 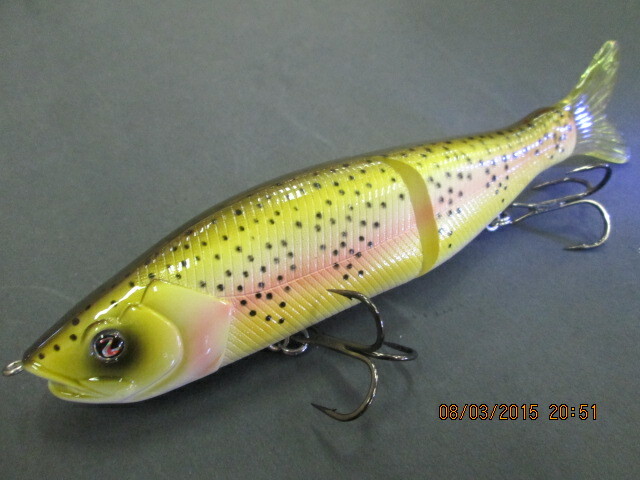 Another similar lure is the Gantarel by Jackall. This too has a sweeping action. 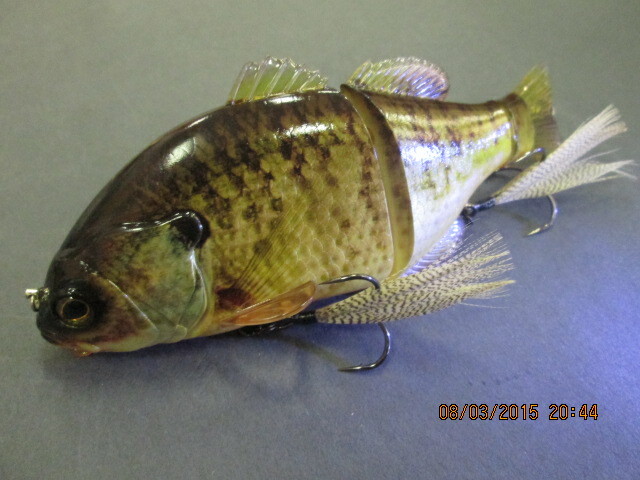 The bluegill pattern is very realistic and during the hotter months bass will feed regularly on bluegill and other sunfish. A good choice for large topwater lures is the BBZ-1 Rat50 by SPRO. This jointed plug swims and rattles across the surface and will draw some vicious strikes. Please practice catch and release with the large fish in the lake. The water temperature is warm and it is best to quickly weigh, photograph and release fish as soon as possible to avoid stressing the fish.